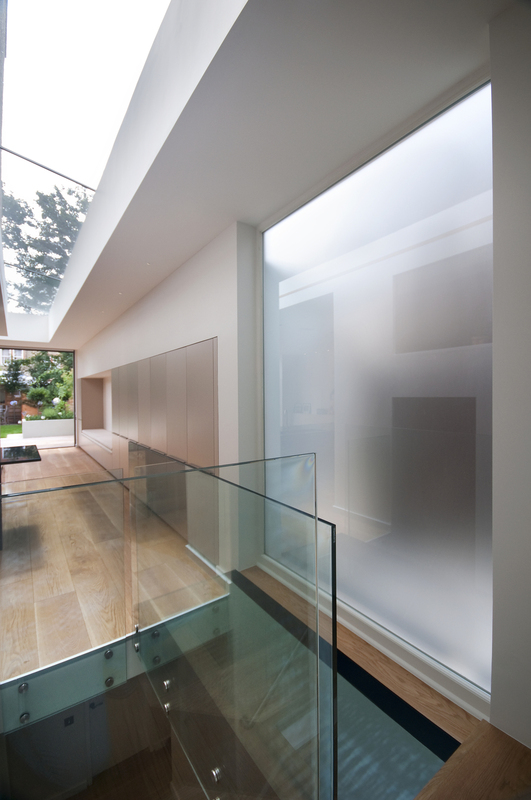 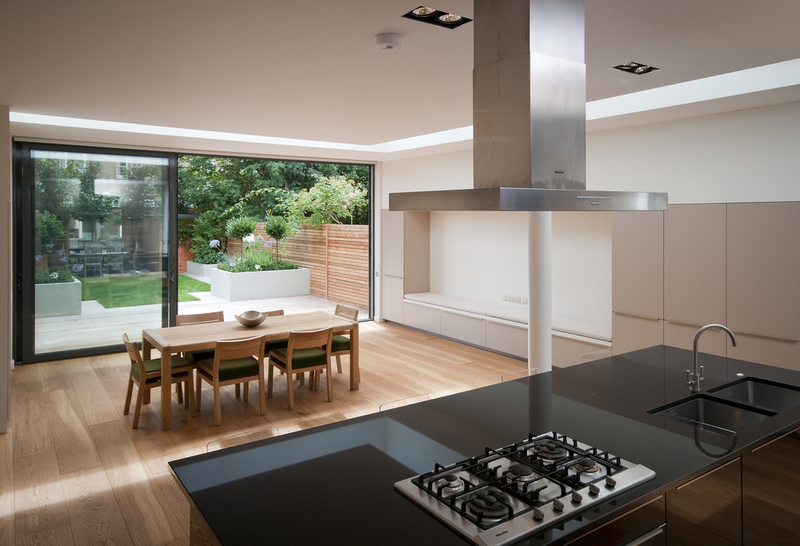 This large Wandsworth house was originally two flats in very poor condition. 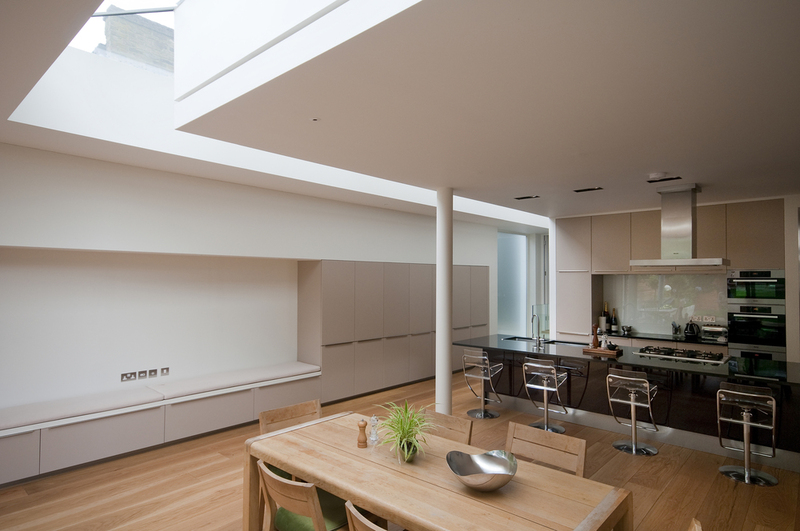 It was rebuilt to double its original floor space with a two-storey rear extension and full basement. 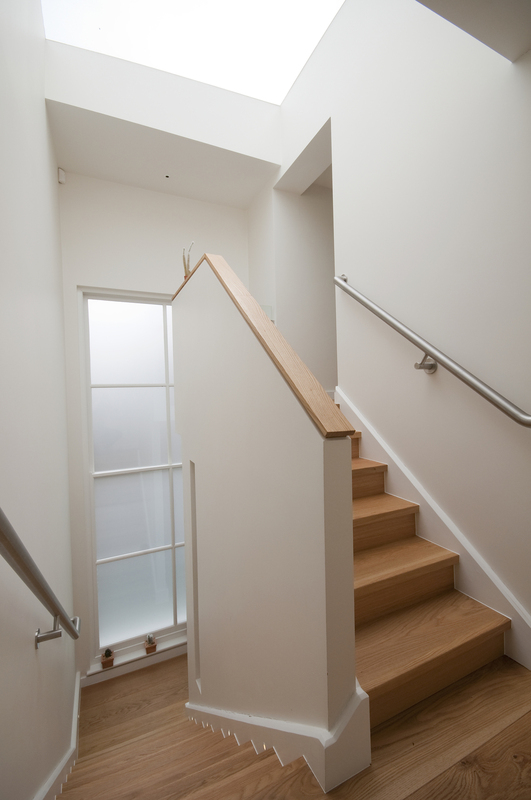 A top-to-bottom glazed stairwell brings light down in the centre of the building.